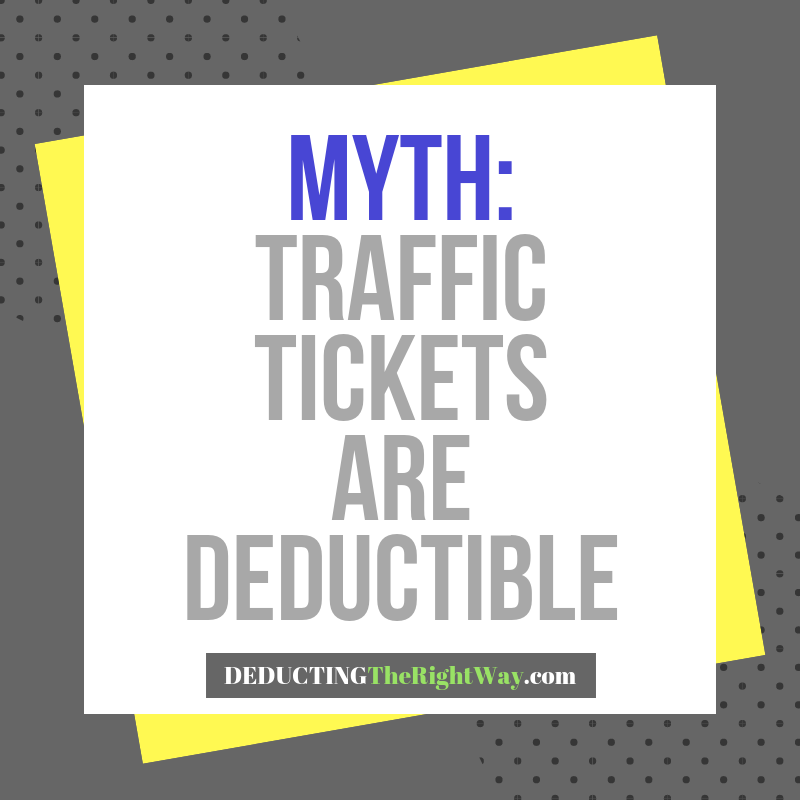 Have you been deducting traffic tickets for you or your employees? That's a no-no according to IRC 162(f). Can you write off traffic tickets? No. Getting a ticket while driving for business doesn't mean that the expense is deductible on your tax return (even if you pay it off with business funds). Why? A ticket is a penalty for violating a traffic statute, and the IRS does not allow you to take a tax deduction for breaking the law. the IRS does not allow you to take a tax deduction for breaking the law. The rule applies to any situation where a government entity requires your business to pay a penalty or fine for violating a federal, state or local law. You can deduct the cost of defending your business in a lawsuit but any part of the judgment specifically designated as a fine is a non-deductible business expense. You would need to categorize the transaction in your bookkeeping records appropriately, so you or your accountant do not mistakenly claim a deduction on the tax return.